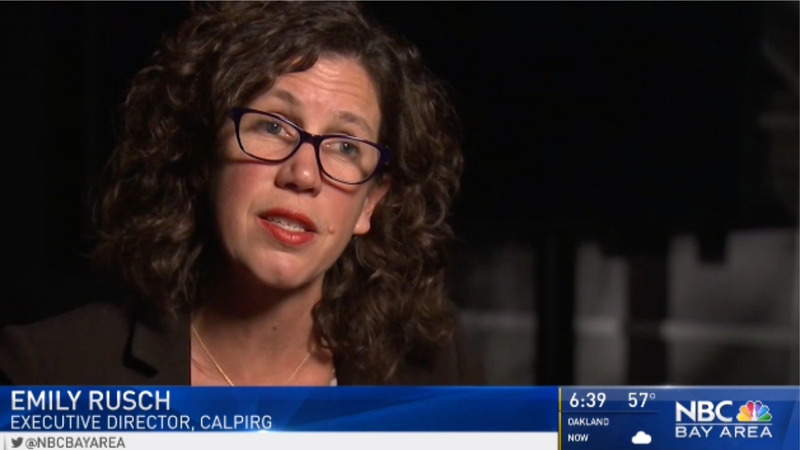 "We need to improve our systems for making sure that recalled products are taken off store shelves," CALPIRG Executive Director Emily Rusch told NBC News. "And that consumers who have bought those products are adequately notified." Photo Caption: CALPIRG Executive Director Emily Rusch appeared on NBC News to announce the release of the "How Safe is Our Food?" report.